You are currently browsing the archives for 21 October 2013. 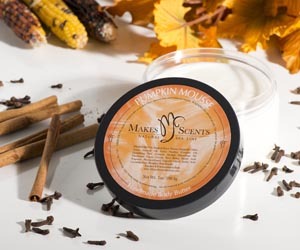 Makes Scents Pumpkin Spa Line Giveaway! Makes Scents Natural Spa Line and Val The Spa Gal have teamed up for a scrumptious pumpkin spa line giveaway! The lucky winner will receive either a Pumpkin Sorbet Body Scrub (7.8 oz. ; $25); a Pumpkin Mousse Body Butter (7 oz. ; $20); or the newly released Pumpkin Spice Eco Soy Candle (10 oz. ; $25). I sampled the body scrub and the mousse. (Yes, I have a tough job!) 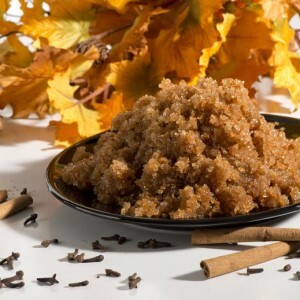 The body scrub is a blissful blend of dried pumpkin, raw sugar, sweet almond, coconut, rice bran and avocado oil. This is a strong spa-industry-grade scrub. The hefty crystals slough off dead skin cells and leave you with a light glow and a powerful pumpkin scent that will last long into the night. I had to make sure to mix the oil into the crystals (which I did with my finger), or else it began to separate. Also, it left a light oil on the bathtub floor, so be careful because it might be slippery. The Pumpkin Mousse Body Butter was light in texture, but strong in scent. The whipped white pumpkin-scented butter glided on easily and worked well as a gentle massage lotion, which I used on my feet … a lot! 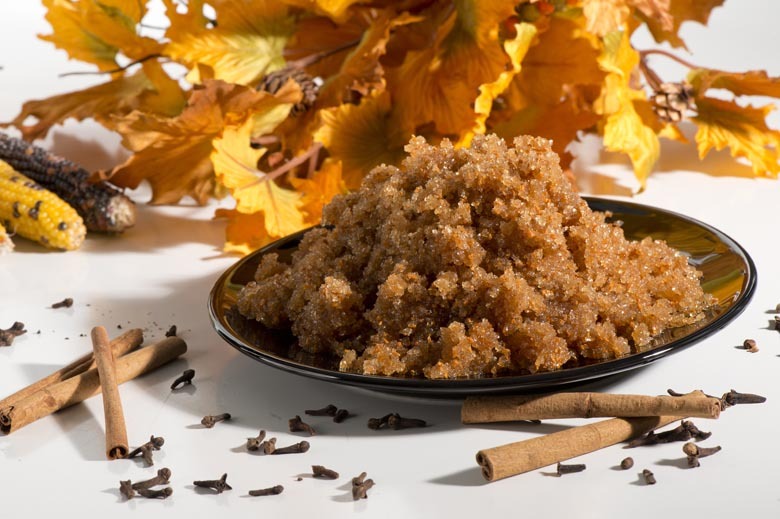 I detected a hint of cinnamon, which I did not notice in the heartier body scrub. The aroma is also robust, like the scrub, and lasts long after its application. Delicious! Now for the CONTEST! Lucky for you, there are a number of ways to enter. It’s easy to pile up multiple entries. Good luck!